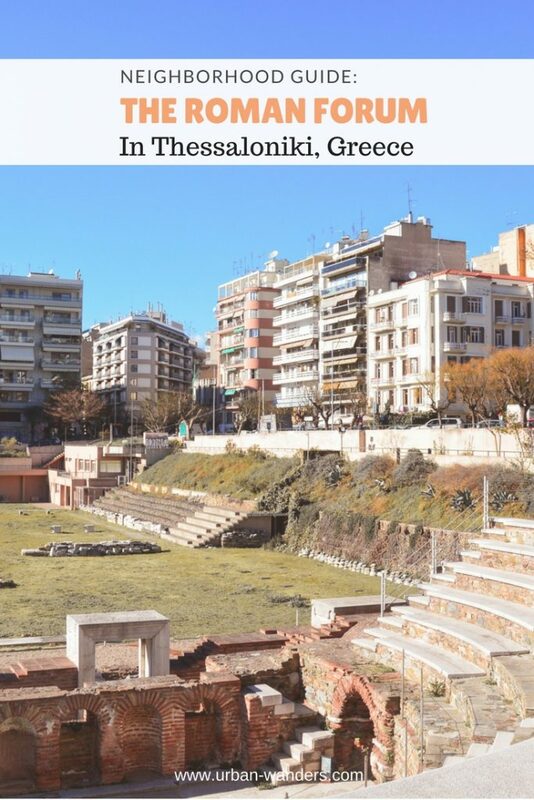 Right in the heart of Thessaloniki, between Egnatia Street and Agiou Dimitriou Street lies the Roman Forum or otherwise known as the “Ancient Agora.” Dating back to the end of the 2nd century A.D., the Roman Forum is the largest archaeological site in Thessaloniki, Greece. 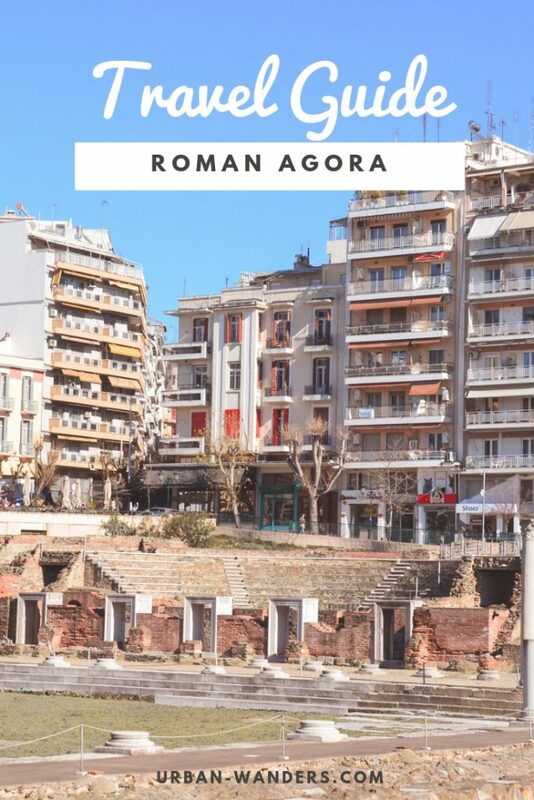 But the Roman Agora is more than just a historical site; locals love this neighborhood for the quiet escape from the noisy city, the eclectic shops and the neoclassical architecture. 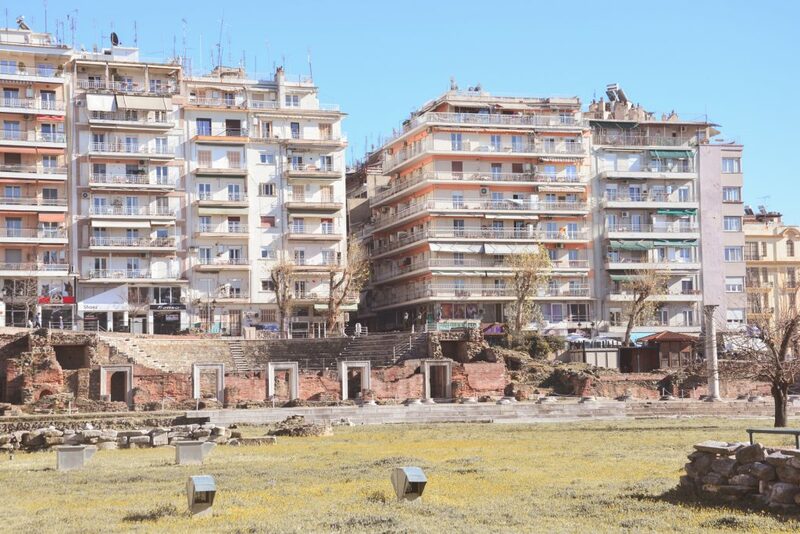 These manifold influences have made the neighborhood surrounding the Roman Forum of Thessaloniki a place that laid-back creatives and culture lovers are proud of. Continuing reading to learn about what to do at the Roman Agora, where to eat and more! 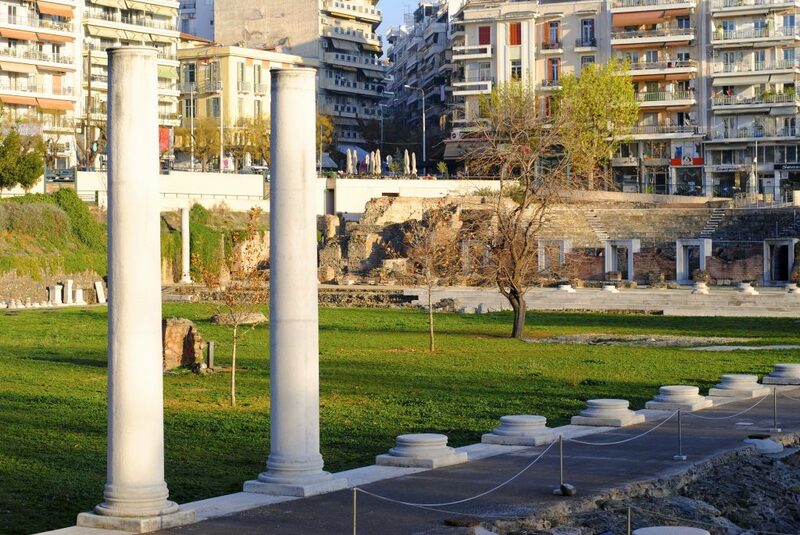 At the time of Roman Thessaloniki, the Roman Forum was the place of gathering for social and religious events. This archeological phenomenon consists of a two-terraced marketplace, an underground stoa, two Roman baths, and a small theater or Odeon, which was used for gladiatorial games. In the early 1960’s, the plan was to construct Thessaloniki’s City Hall right in the center of the city, between Agiou Dimitrou Street and Egnatia Street. 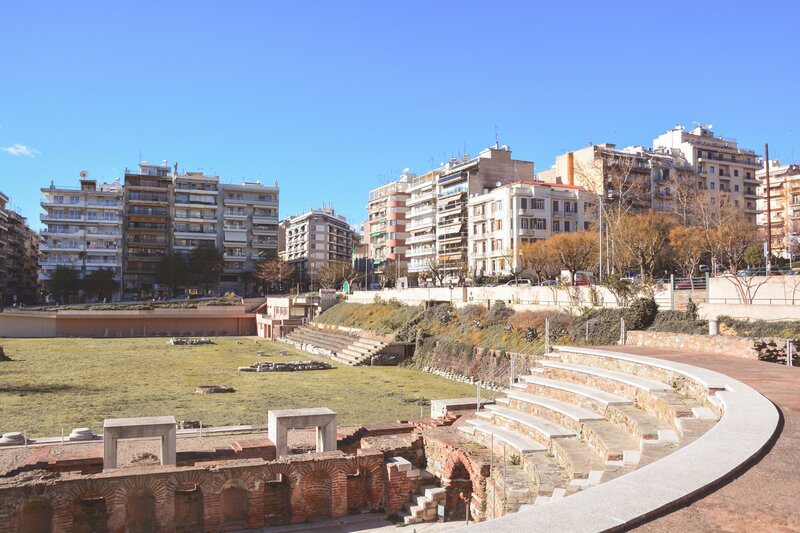 During excavation however, the remains of the Roman Forum and its Odeon were discovered, putting hold all plans of construction and instead beginning one of the largest archaeological projects in Thessaloniki. 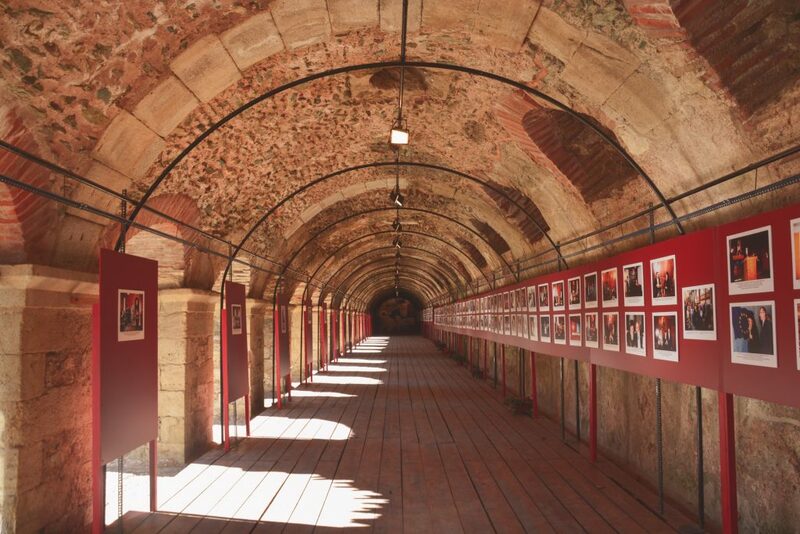 Today, for a small price of 2€, visitors can explore the underground museum through its remaining stoa, as well as lay in the open terrace. Throughout the year, various concerts and cultural happenings will open the theater to the public, making us feel like one of the ancient Romans. 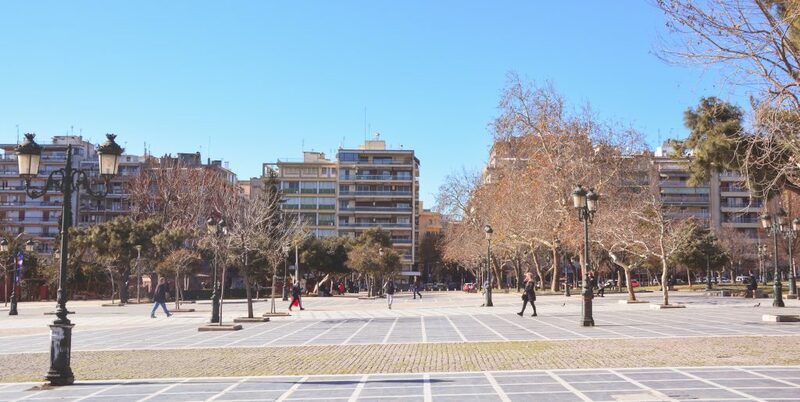 One of the few places in Thessaloniki where you’ll see tall lush pine trees is Dikastirion Square which happens to be one of the largest squares in the city. 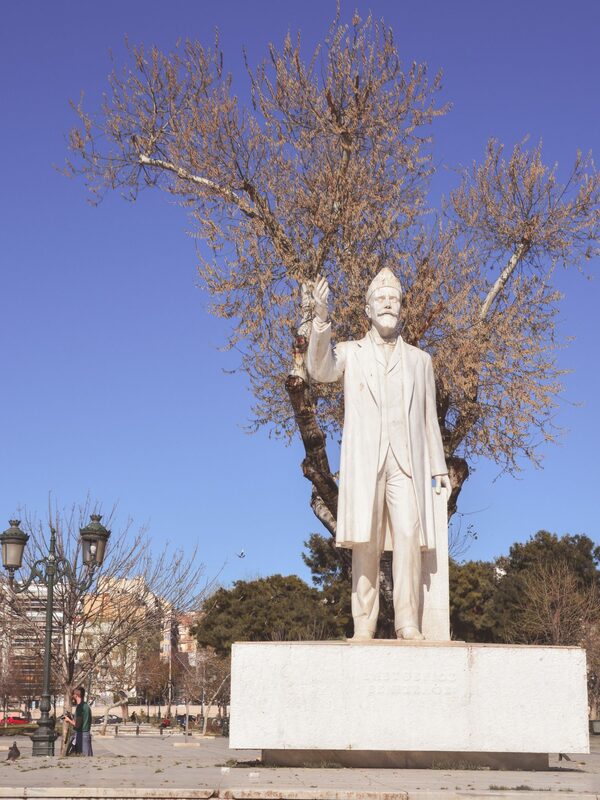 Due to its central location, many locals will use the statue of the former Prime Minister, Eleftherios Venizelos, as a meeting point. 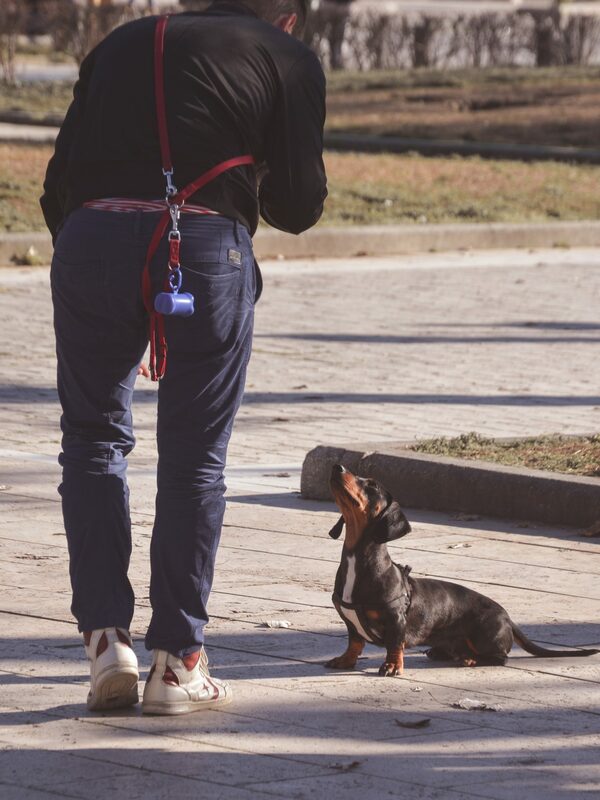 Another distinctive use of this large square is that it has become the largest “unofficial” dog park in Thessaloniki where many dog owners meet up for their dogs to socialize. The beautiful church of Panagia Chalkeon is also located on Dikastirion Square. Interesting enough, when Thessaloniki was built, they decided to preserve this very historic church by building around it. As a result, you will have to take some stairs down to the church as it is below the current ground level. 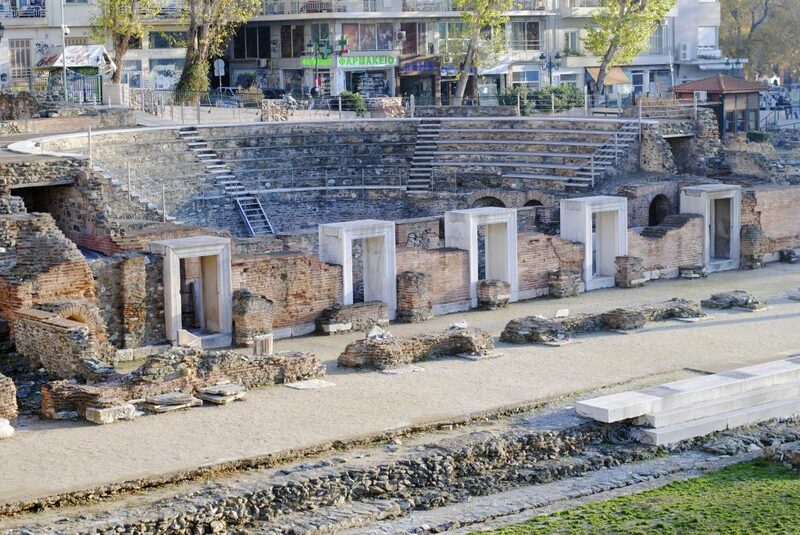 Also known as the “Baths of Paradise”, the Bey Hamam is the oldest bath in Thessaloniki. Found on the largest and busiest street, Egnatia Street, the Bey Hamam was first built in the year 1444, by the Ottoman ruler of that time to signify the Ottoman culture and influence in Thessaloniki. Apart from their hygienic and wellness function, these Ottoman baths were a symbol of spiritual cleansing as well as a social gathering for women. 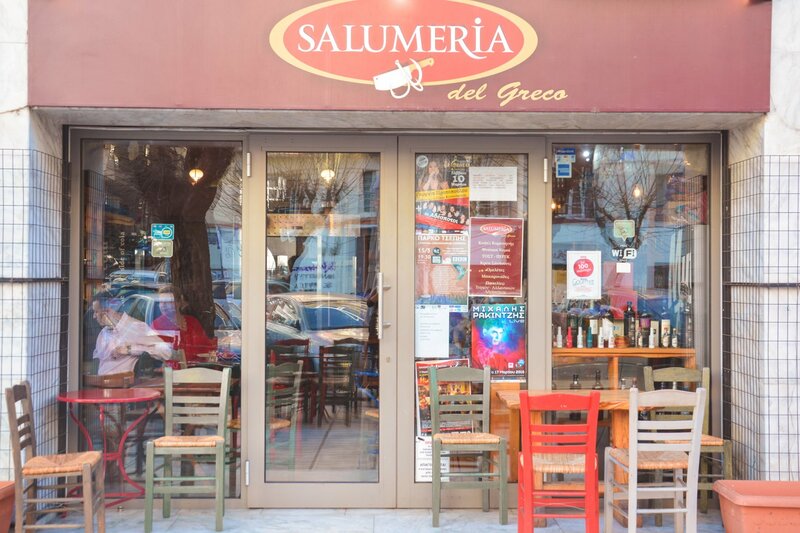 Situated on the corner of Egnatia Street and Mitropolitou Gennadiou Street, Palio Hamam Café-Bar is an alluring little coffee shop perfect for all year round. During the winter months Palio Hamam becomes one of the coziest cafes, with its traditional Greek coffee and warm fireplace. During the summer season, its rooftop café-bar has a clear view of Bey Hamam’s distinctive domes. 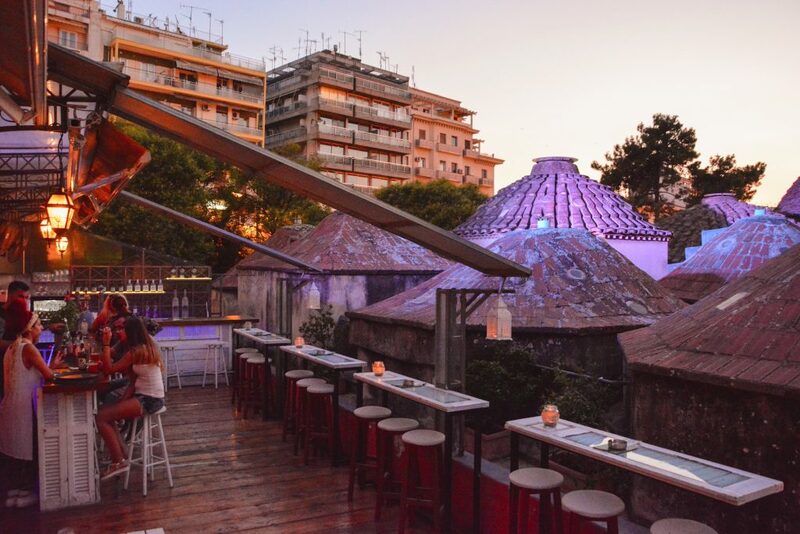 Just a hop, skip, and a jump away from the Roman Forum is Allos Tropos, one of the best Cretan taverns in Thessaloniki. 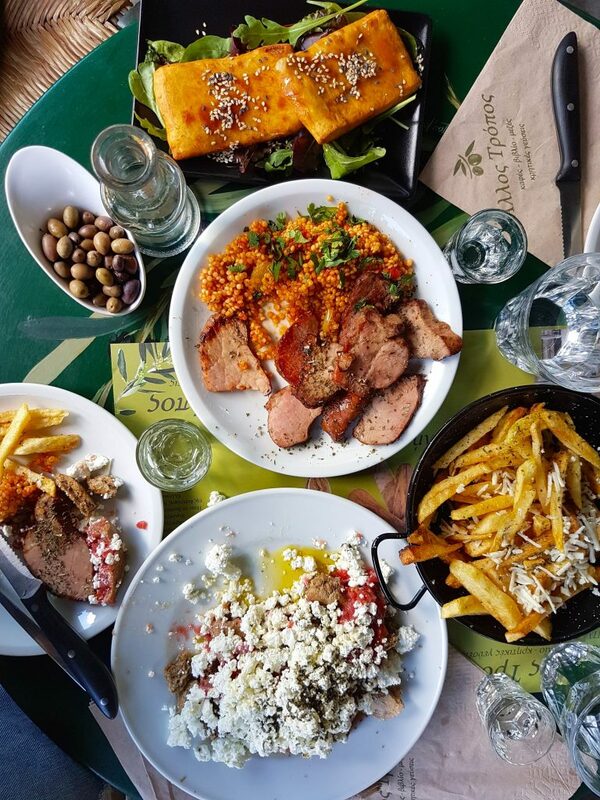 Many young locals of Thessaloniki have coined Allos Tropos a “steki” or a popular destination, due to the tavern’s authentic and delicious food as well as its warm and friendly environment. Just north of the Roman Forum is Olympou Street, possibly one of the most alternative and eclectic streets in the city. 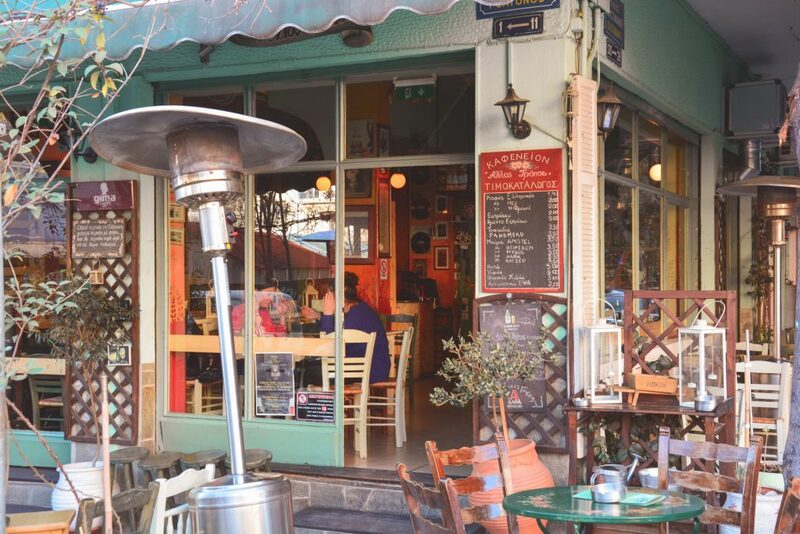 Full of taverns, bars, galleries, cafés and shops, Olympou Street is a destination the locals like to visit again and again. 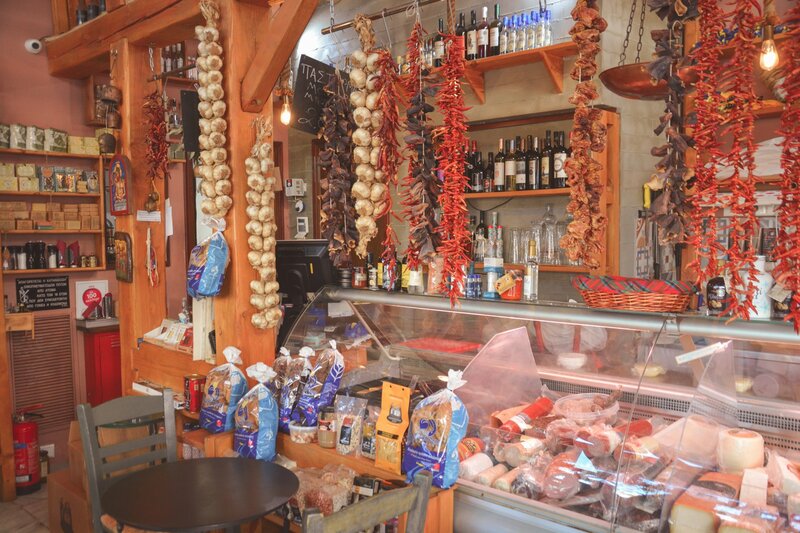 Noteworthy spots on this street include the Blues Bar , To Koumpi Coffee & Crafts, Salumeria, Pikap Café, the famous dried fruit, nuts & seeds store, Hraklis, and many more. Be sure to also check out the Oympou Street & Beer Festival that takes places every June, where local cafés and bars gather together to promote business on Olympou Street by selling cheap souvlakia and beer, and hosting a large concert consisting of local Greek bands. 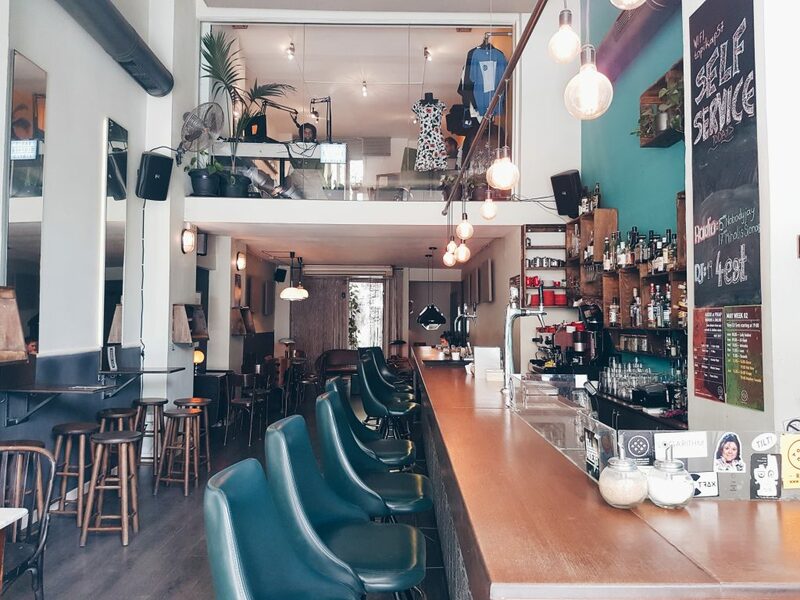 There are a few places in Thessaloniki were locals and tourists MUST try out at least once in their lives, and that is to eat at Bit Bazaar. Bit Bazaar is a group of several taverns all sharing the same courtyard. 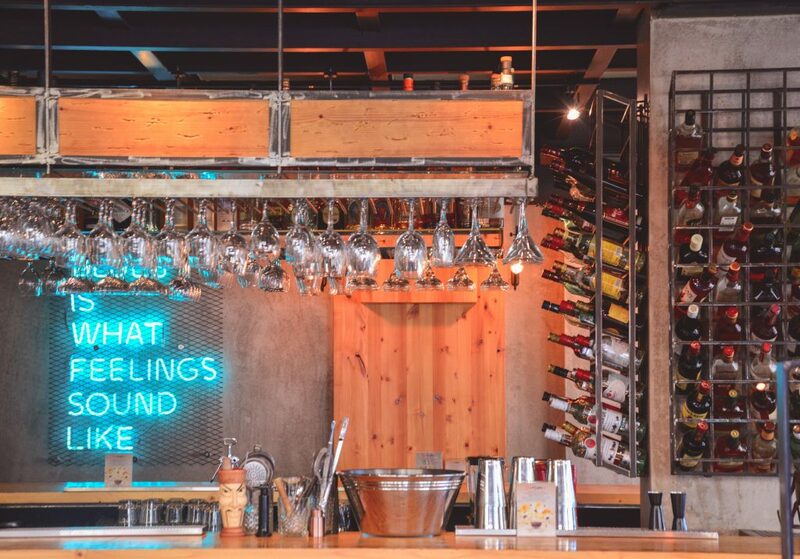 Here you will find young adults drinking and eating and having a great time. Another distinctive characteristic of the neighborhood surrounding the Roman Forum is the myriad shops that sell antiques and collector’s items. The shop owners will lay out most of their findings on the sidewalk for the passersby to observe. 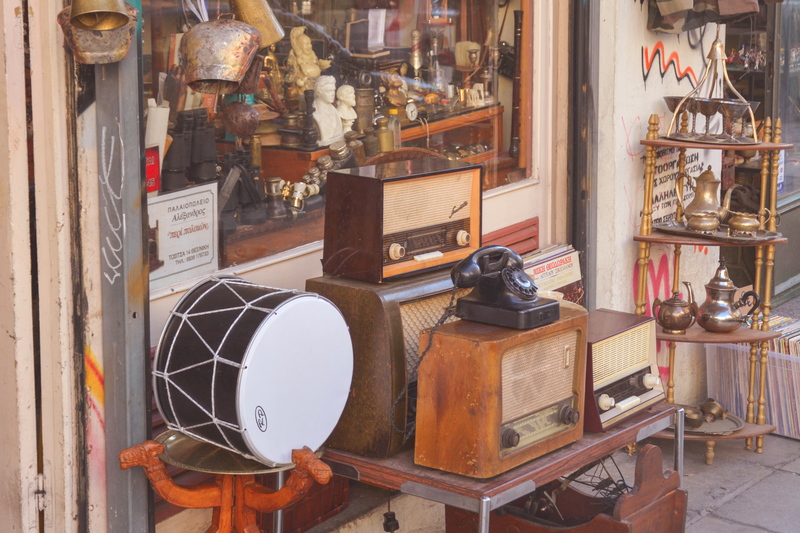 The antiques you can find range from old army suites, to classic books, to vintage postcards, to antique furniture and more. The findings appear to be endless! The architecture around the Roman Forum is so diverse and interesting to observe. 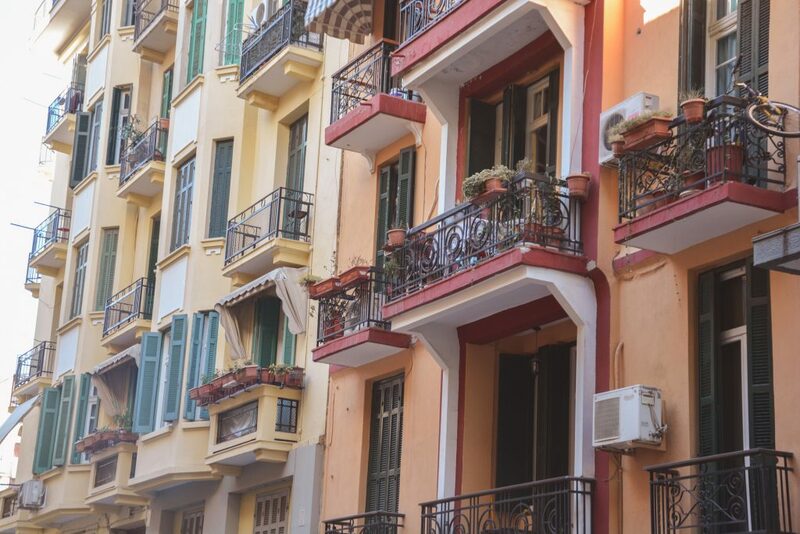 From the ancient ruins of the Roman Agora, to the new age apartment buildings and everything else in between, the architecture in this neighborhood is definitely something worth noticing. 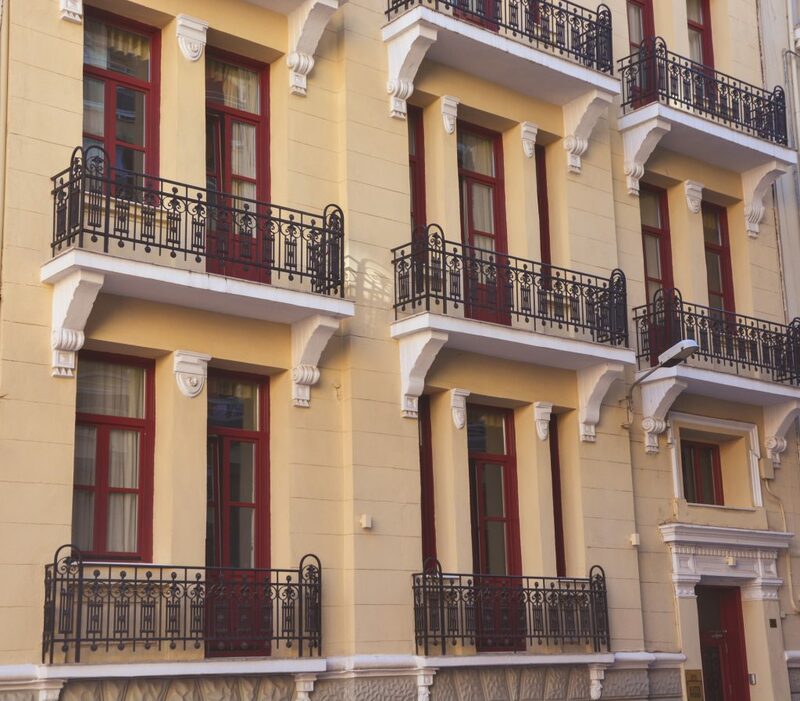 Take particular notice of the elegant pastel, neoclassical buildings that date back to the 1920’s. And there you have it! 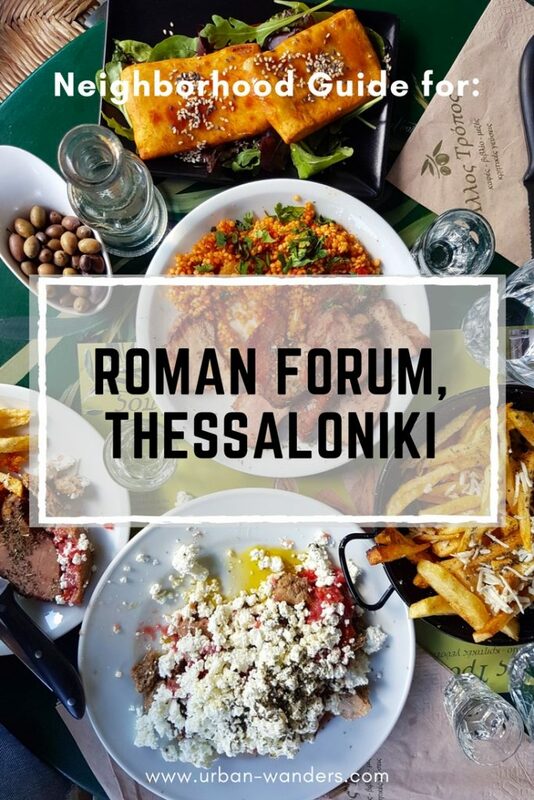 A quick and easy guide to the Roman Forum in Thessaloniki and the surrounding shops, cafes, restaurants and parks. 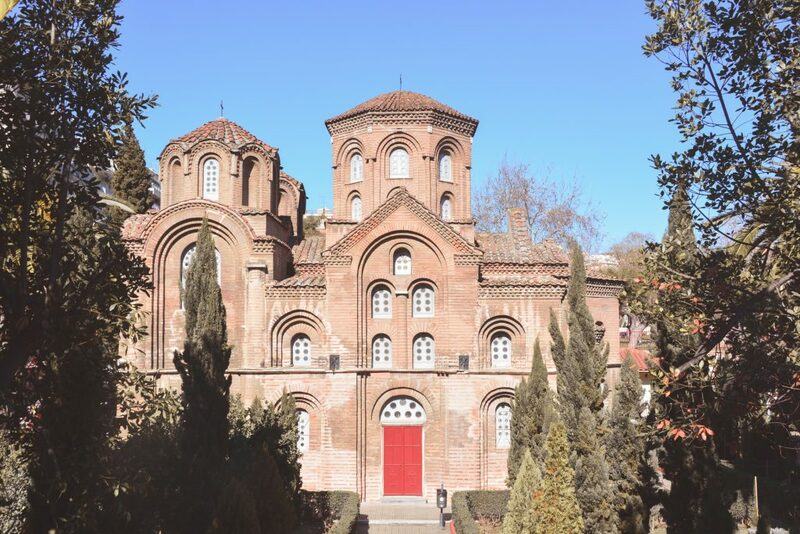 Check out the Urban Secrets page for more hidden gems around this neighborhood and throughout Thessaloniki! By Bus: All major bus lines run through Egnatia Street which is a minutes’ walk to the Roman Forum. These bus lines include: 2, 2A, 8, 10, 11, 11B, 14, 17, 22, 27, 27A, 28B, 31, 37, 78N, 83, 83B, 83M, 83T. By Car: There are two large parking lots on both sides of Dikastirion Square. Parking along the Roman Forum is also available. In both cases you have to buy parking time through THESi.